“You may not have heard of Chen Hu’s brother, but you have heard of Seven Brothers of the Horizon, right?” At this moment, the man holding the spear shouted. And it happened! She was soon completely free from the black light’s enclosure and stepped closer towards Zhen Hu who was still just wielding his knife. Impossible! They had three cultivators and several days of preparation, to understand each other’s strengths and weaknesses. There was no way they could be this weak! The Su Yun who desperately desired to escape from this event could only wait quietly on the side after he witnessed the battle. Moreover, there were three of them! Equipped with Confounding Grand Enclosure Array, everything was well prepared! However, they had actually met their end. Su Family was not very powerful, but most people could ignore the vast communication network that they had set up. Su Family’s relationship between various sects and forces were comparable to Blossom Heart Valley. Despite this, Su Family did not dare try to offend the Immortal Sword Sect. After all, the Su Family true strength was not comparable to Immortal Sword Sect’s. It seems that he could only follow her orders and take her to the Su Family! Anyways, she was looking for the Su Family. She was not looking for him, so what was there to be afraid of? After the fox girl kill the three people, it still did not stop. She lined the three male corpses and used her hands to slowly pierce through each of the three corpses’ hearts. In an instant, he could see that the scarlet dagger trembling as it issued a piercing screeching noise. A lot of veins appeared on the dagger’s blade, creating an intricate pattern. As he gazed at the dagger piercing through the corpses, it was evident that it began to erode the corpses. “This is probably….I was born aloof.” Su Yun casually replied. The fox girl froze for a moment and then clutched her stomach as she giggled. 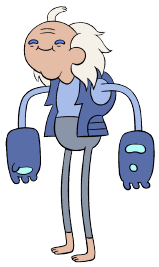 Should he announce his real name and she came to get revenge on the Su Family, then he would probably be doomed. “Hey! Open the gates! Hurry and notify your patriarch! Please inform him that I, Hu Qian Mei, a master who is willing to teach the Ming Ying Arts is here! Quickly, open the gates!” The fox girl shouted with her utmost strength and allure that she could muster. Chapter title: You are Su Yun? Because of SuYun intervention, Hu Qian Mei managed to reached the Su family.